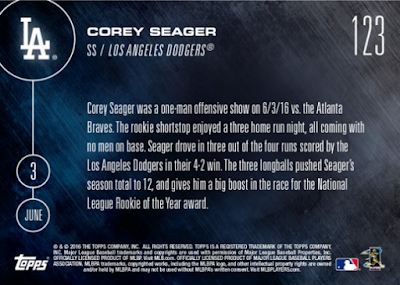 Sorry about this belated notice. 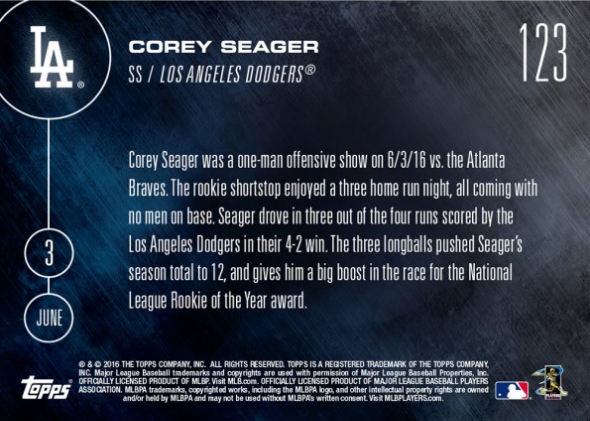 Following Corey Seager's outstanding game at the plate on Friday Topps decided to make available a 2016 Topps Now card to celebrate it. Check it out in this post. Go here to order. You have until 12:30 this afternoon. 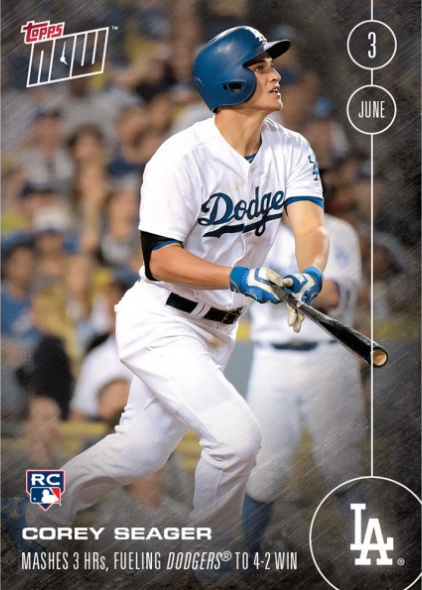 UPDATE: The final tally on this card is 1,900 copies sold.